This set of fenders features honey colored Leopard wood, two thin stripes of dark Wenge wood, and two somewhat wide bands of light tan Maple. 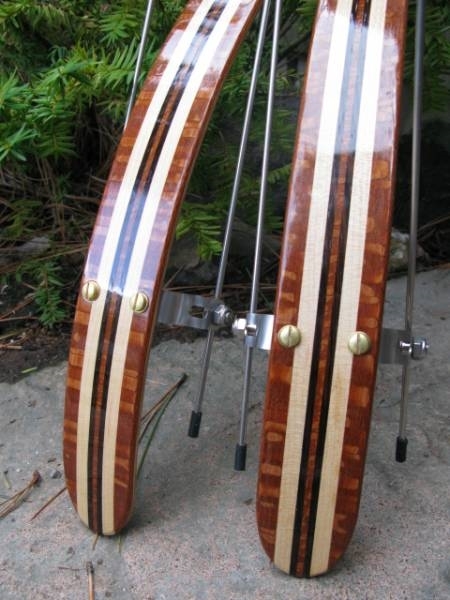 The Leopard wood color will go very well with any of the honey colored Brooks products. Good looking fender pattern!